The Passbook train continues to move forwards in Australia, with more companies climbing aboard, adding to the list of those already offering support for Passbook. 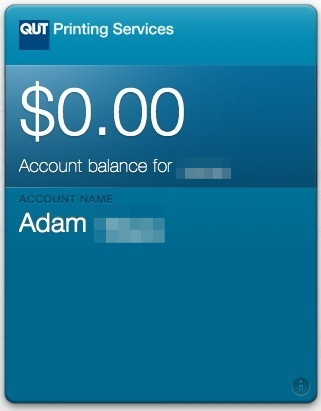 Late last year, the Queensland University of Technology (or, QUT) quietly added support for viewing your QUT Printing Service (QPS) balance via Passbook, meaning that your (live and up to date) balance is only a pull to refresh away, wherever you are, without needing to use a username and password. 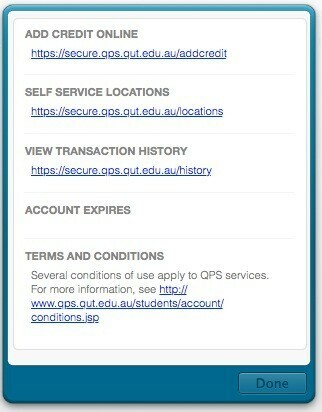 To add your QPS balance to your passbook, just visit the QPS site, log in with your QUT credentials, and download the pass on your iPhone or Mac. On the back of the pass, there’s also quick links to other QUT QPS services. Thanks @tuppaware for the screenshots.